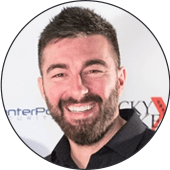 Nate originally founded the Investors Underground community in 2008 with the goal of creating the top trading service on the web. 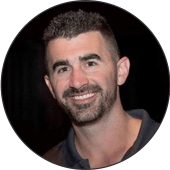 This service, fueled by Nate's 10+ years experience trading equities (both Nasdaq and OTC), has become a "must follow" in the trading community. Nate is well known for his unique ability to read points of inflection & exhaustion in momo stocks, making him a "go-to" guy in the world of day trading. Cam first entered the world of trading in 2010 when he joined Investors Underground as a subscriber. He now has 8 years of trading under his belt, and found his niche catalyst-trading tech and pharma stocks on the short side. 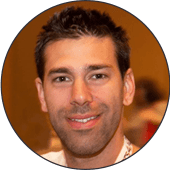 Cam splits his time between trading, managing the IU team, and creating content for members and people interested in the trading community. Michele has been a full time trader since 2001. Her style includes both day and swing trades, with an emphasis on swing trading. 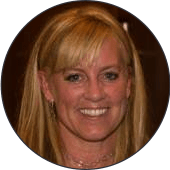 Michele runs the swing trade chat room at Investors Underground where she provides swing trading watch lists & monthly webinars. IU members have found Michele’s commentary to be invaluable, helping them understand longer term perspectives in the markets. In 2012, Michele started blogging her trade ideas and setups on her blog Trade on the Fly as well as sharing some stories on rural life in Montana. Emil started trading in 2000 as a swing trader, looking at both technicals and fundamentals. He used his technical charting experience to develop intraday strategies, with varying success. . After many years of trading in solitude and fine tuning his own style, he found the IU community (2011) which was the first step into the right direction and helping him achieve consistency in trading. Now, he is still trading in IU actively and learning new things every day. 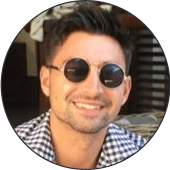 Cody has been a full time day trader since early 2015 and has actively been a trader in the markets since 2010. He has trading nearly everything offered in the markets, stocks, options, futures, forex, penny stocks, you name it he has traded it. 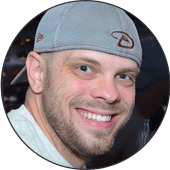 Since those first years of trading he learned his lessons blowing up several account until finally gaining traction in early 2013 when he found that his niche was finding momentum before hit happens on the long side. Cody actively trades many securities on a daily basis with a 90/10 long/short strategy. 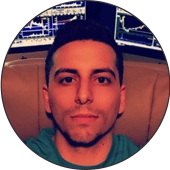 Dante has been actively day trading for almost 6 years now, and quit his job as a financial analyst at a small consulting firm to trade full time in October of 2015. He's always been drawn to high volatility momentum stocks, and IU really helped him navigate those waters. Between 2011-2014 he blew up multiple accounts learning everything the hard way, then finally found traction in late 2014 with a focus on small cap short selling. 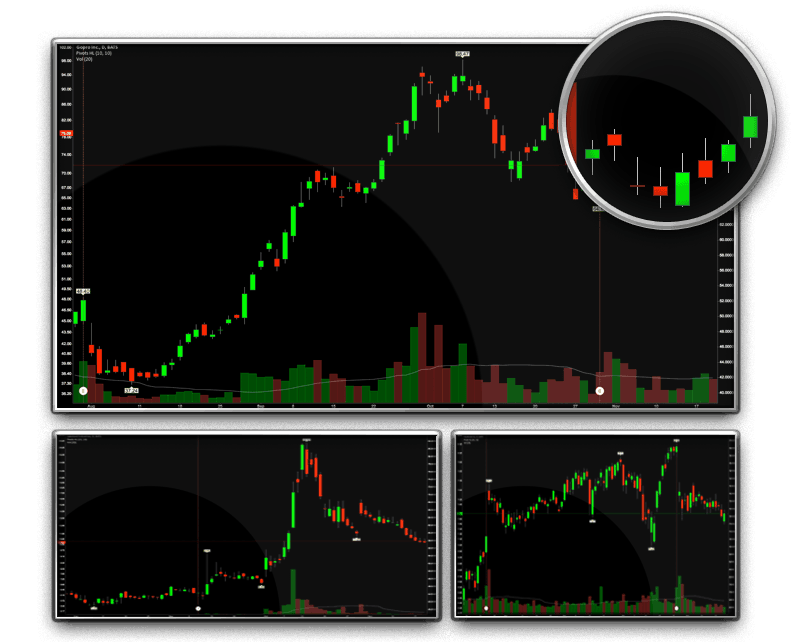 Dante is a research-oriented fundamental trader, focused on reading tape, price, and volume. He is primarily looking for bigger picture moves rather than scalping. Dante strictly trades Nasdaq momentum names. His strategy is almost entirely short-biased, roughly 5/95 long/short strategy. Tyler has been a full time trader for 10+ years, and is an old friend of Nate’s, growing up in the same town and sharing similar interests. 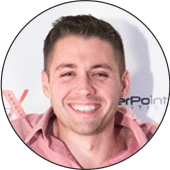 He had a lot of success in the OTC world when starting out, and has successfully transitioned his strategies to nasdaq, now thats where the action is. He has been a member of IU since day 1, and has been helping on the IU team for 5+ years. He splits his time between trading and helping new IU members with their learning curve. Phil started trading in college to make a little extra money. After a couple years of studying charts, Phil opened a small account during his sophomore year. He lost the money and repeated the process junior year. By senior year, Phil was starting to understand chart patterns better and started learning how to short stocks. By the end of senior year, Phil grew his small account exponentially by focusing on shorting parabolic moves. Now, Phil continues to profit while using his strategy successfully in the Investors Underground chat room. Eric Wood discovered the world of trading during the dot com boom, but was focused more on real estate investments. After several years, Eric wanted to find new opportunities and began trading penny stocks. Although Eric did not have much structure to his strategy (self-admittedly), he saw great success in the market which led him to start polishing his strategy of shorting "pump and dump" stocks. 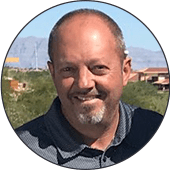 Eric joined the Investors Underground chat room in hopes of finding the tools he needed to broaden his trading style. 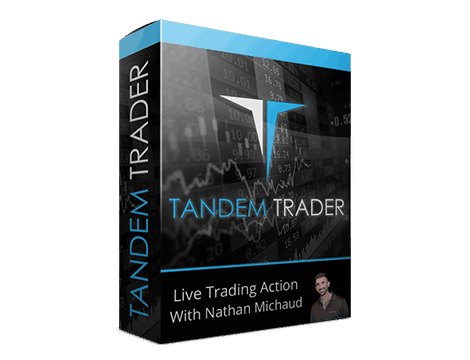 After just 2 weeks, he knew he found something special after seeing Nate's consistently profitable trading. Now, Eric continues to profit from his short-biased strategy while moderating the Investors Underground momentum room. Josh Cherniack graduated with honors from CU Boulder. After graduation, he got his first real exposure to the markets as a junior analyst at Point 72 Capital where he worked under a portfolio manager with 100 million in capital. He later joined his father at a prop trading firm, Goose Hill LLC, which was spun off from First New York Securities. Josh has also worked in sales, holding a position at Iason where he sold data systems to bulge bracket bangs specializing in swaps. 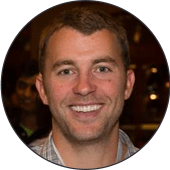 For the past four years, Josh has been a full-time day trader focused on trading large cap stocks. He has been trading at Investors Underground since 2015. Investors Underground is focused on helping traders become self-sufficient by providing them with top-notch educational materials. We have two day trading courses, provide weekly trade recap videos, and host a few webinars a month so our members can continue to learn on a consistent basis. As a day trader, you need certain tools and resources to be successful. We help traders find their way in the markets by providing them with the right tools. We send out daily stock watch lists, discuss market activity and chat, and provide a library of day trading educational material. Whether you are just beginning your trading career or have been trading for some time, it can be tricky to navigate the stock market at times. Our goal is to make the markets less confusing by providing all traders with the guidance they need. This guidance comes in the form of chat commentary and 1-on-1 mentorship. Although day trading is a solitary activity, you don't need to trade the markets alone! Our community is here to help every step of the way. Have a question about a particular setup or day trading in general? Just reach out to one of the moderators in our chat room and they will be more than happy to help. Our mission is to become the ultimate resource for anyone trying to master the art of day trading. While we provide plenty of educational material and trading resources, our work doesn't stop there. We're committed to helping aspiring day traders in every way possible. Have specific questions about your trading? Just reach out in chat or a webinar and we will guide you through the process. Our daily watch lists consist of the top stocks to trade for upcoming day. These watch lists are sent out in the afternoon so you have plenty of time to prepare before the market opens the next day. Each watch list consists of stock charts, game plans, and rationales. We show you the setup and then explain the game plan with detailed rationale. 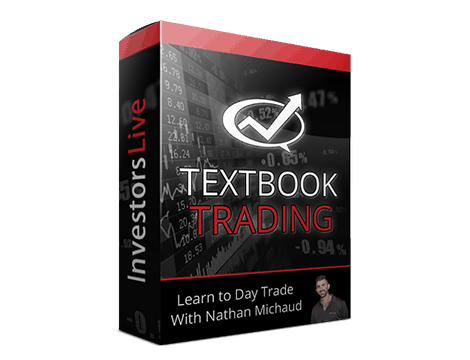 This allows you to be prepared for the move AND learn to understand why we are trading these stocks so you can be one step closer to self-sufficiency. Our chat room may be the most valuable component of our service. Imagine the power of thousands of day traders scanning the markets and sharing their best ideas in chat. Our chat room is the best scanning tool money can buy. We have successful traders sharing their trades in real-time and giving alerts for future trades. In addition to our main momentum chat room, we also have chat rooms focused on swing trading and penny stocks. We release trade recap videos a few times every week. In these videos, we discusses the trades we placed during the trading week. We breaks down the initial game plan, what we did right, and what we did wrong. All video lessons are stored in our video lesson library, giving you access to hundreds of hours of educational trading content. These videos are loaded with timeless trading lessons and real trade examples. We host a few webinars for our members every month in order to make sure everyone is on the same page and has their questions answered. During these webinars, we discuss new trading concepts, go over recent trades, answer questions from members, and so much more! Essentially, these webinars serve as meetings where all members can further their trading education and get their questions answered. All webinars are recorded and stored in our webinar library so they can be accessed at your convenience. Caught the rush and loving the teaching style on technical analysis by @InvestorsLive. Simply put, you are a genius! @InvestorsLive and chat with great commentary on $NDRM all day. Just a amazing group of traders in there to learn from daily. One of the best things about @InvestorsLive is Nate's warnings about what stocks/trades I probably shouldn't be messing with. I don't know why, but I really GET what @InvestorsLive talks about in chat. Traded a long time, never felt this confident. If u aren't with @InvestorsLive and @IU_chat, you're missing some amazing calls!! We have a variety of membership options and bundles to meet the needs of all traders!